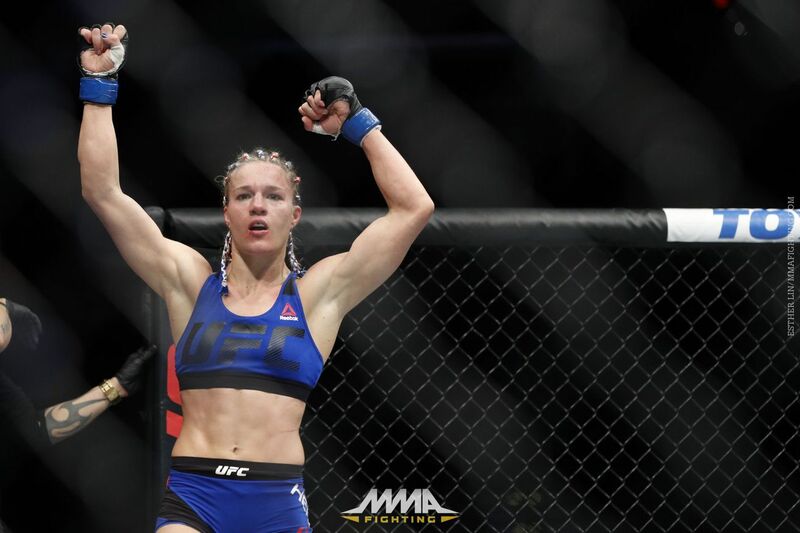 Strawweight veteran Felice Herrig will go for a fourth straight victory when she faces Cortney Casey at UFC 218 on Dec. 2 at the Little Caesars Arena in Detroit, Mich.
Herrig (13-6) last fought on June 25, picking up a unanimous decision win over TUF 20 housemate Justine Kish. Prior to that, she outpointed Alexa Grasso and submitted Kailin Curran via first-round rear-naked choke. For Casey (7-4), getting back in the cage should be a relief after nearly seeing her last win over former World Series of Fighting champion Jessica Aguilar changed to a no-contest when the Texas Department of Licensing and Regulation suspended her for having elevated levels of testosterone. Following its own investigation that involved additional testing by the World Anti-Doping Agency, the UFC found that Casey was the victim of a false positive and the TDLR subsequently restored Casey’s win and removed a three-month suspension. Casey has won three of her past four bouts. No other bouts have been officially booked for UFC 218.